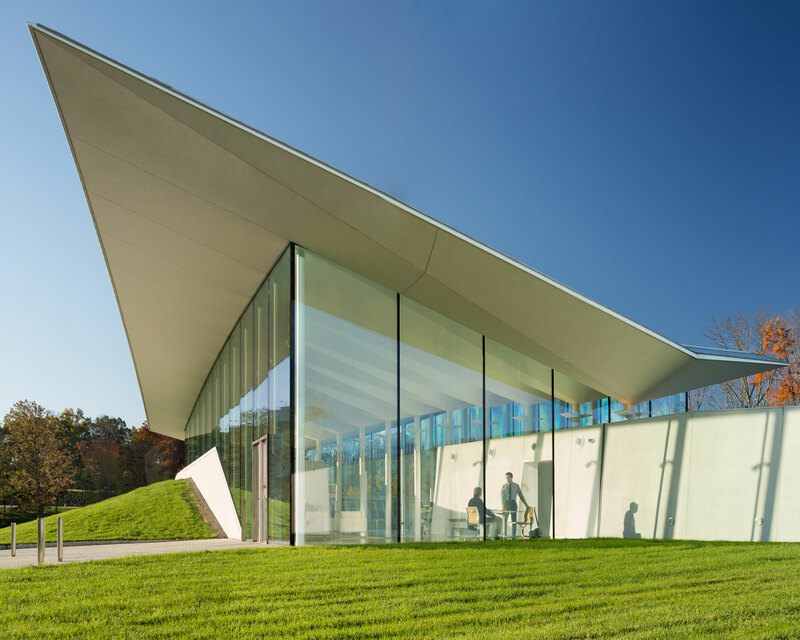 The Novartis Visitor Reception Center provides a dynamic sense of arrival for guests of the company’s 230-acre North American campus in East Hanover, New Jersey. 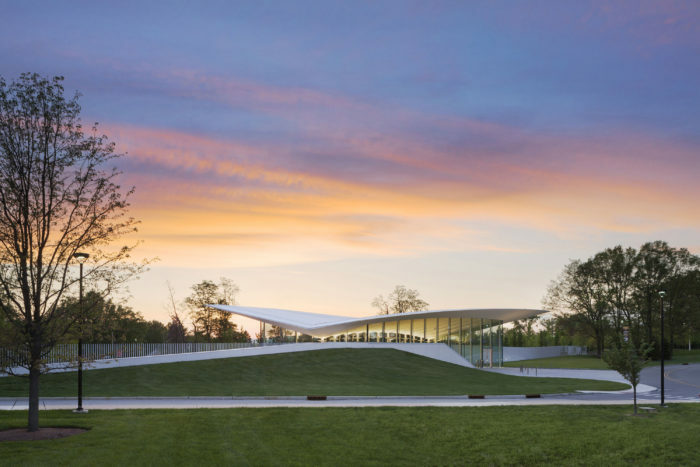 Weiss/Manfredi designed the steel-framed pavilion to emerge from surrounding earth berms that form part of the campus landscape. 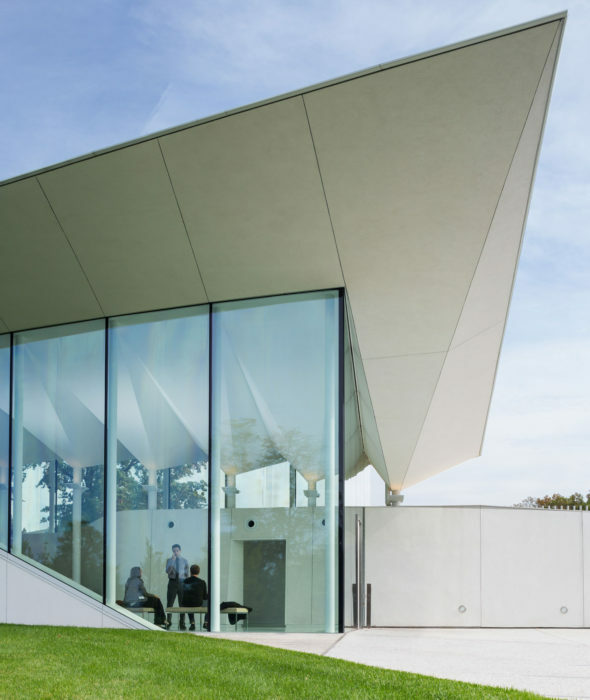 Enclosed by insulated structural glazing units, the building slips laterally into a concrete retaining wall to provide a secure, yet welcoming, passage to receive guests. To capitalize on views, Weiss/Manfredi and Heintges arrived at an all-glass solution that spans the full height of the building without a framing system—the largest glass units are 9 feet wide by 22 feet high. The free-spanning insulating glass employs a solar control and low emissivity coating to reduce glare and heat gain inside, acting in conjunction with overhanging eaves. 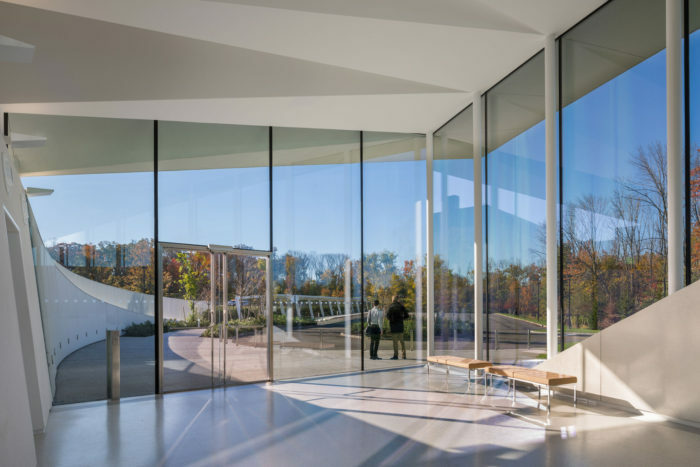 Where glazing lites come together at the building’s corners, meticulous miter detailing resulted in a custom-fabricated beveled insulating glass edge to reduce the appearance of the joint and highlight the center’s elegant form. Photographs 1-3 by Paul Warchol; Photograph 4 by Albert Vecerka/Esto.